I love the timelessness of vintage items. 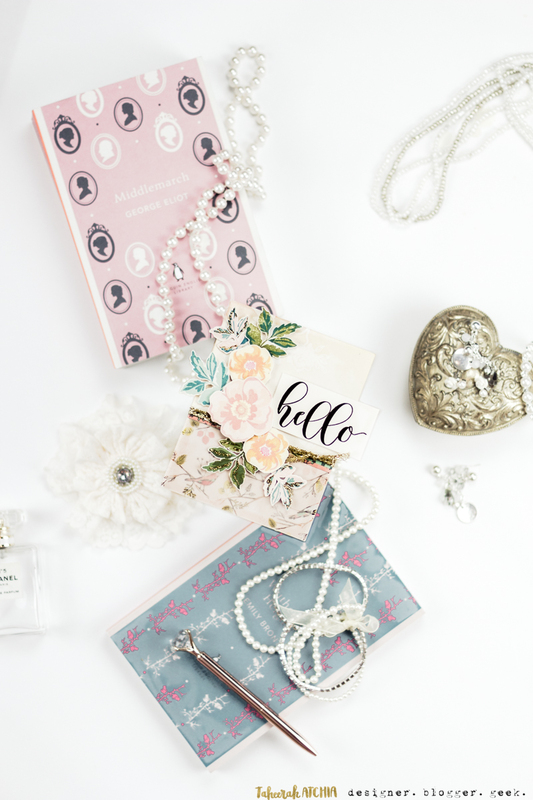 Whether it’s a treasured trinket or heirloom jewellery, a retro telephone or iconic typewriter, or classic couture or a faded print… there’s just something so magical about holding in your hands an item with history. It’s a wonder that with my love for all things vintage that I don’t make more vintage cards. What can I say, I love mixing it up with all the modern and trendy looks, and they usually steal my time and focus. But sometimes you’ve just gotta look at what came before to appreciate it in the here and now. It was with all that nostalgia that I decided to make a more vintage style card for today! 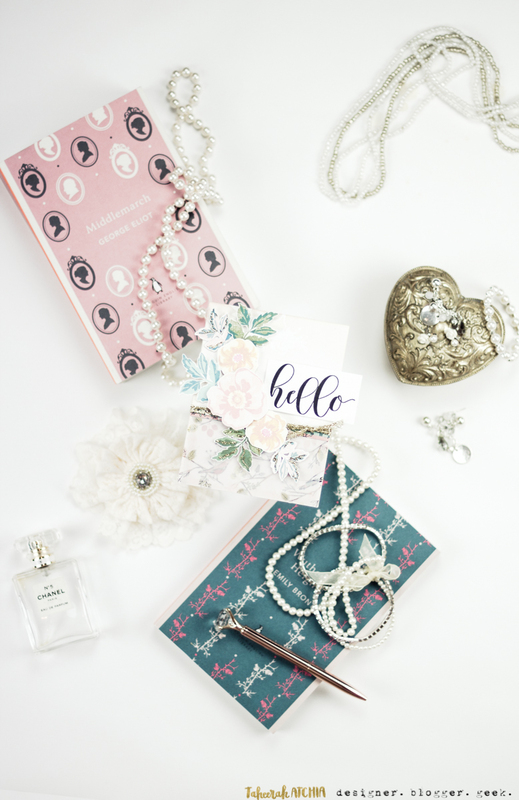 And in keeping with the vintage theme, I couldn’t think of anything better to incorporate than florals. But Taheerah, you hate florals! Well, that’s not quite true. I’d ODd on using floral stamps as they’d been done to death, and I’d really had my fill of the hundreds of different designs that pretty much all looked the same to me. But it turns out that, given a long enough rest from them, that even this girl can fall in love with florals again. Particularly when they have now been given a makeover, with so many different designs embracing a variety of different styles. 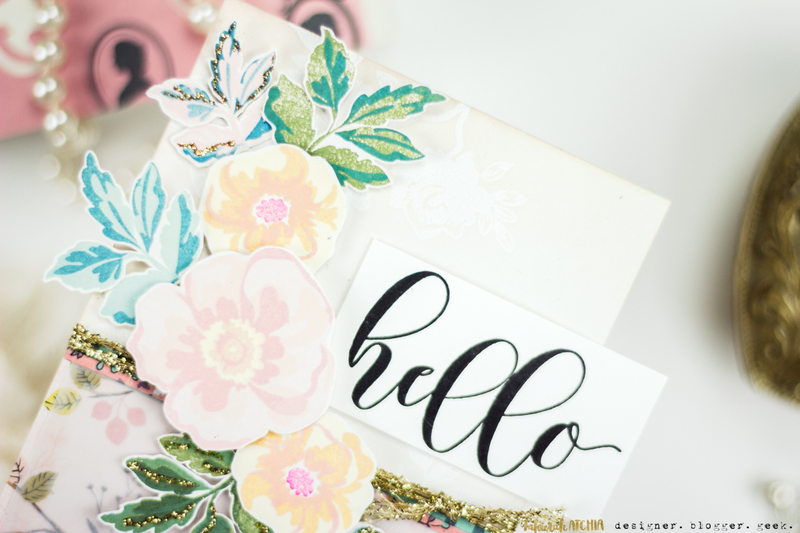 This floral-vintage love-in gave me a chance to pull out the Altenew Flower Arrangement stamp set and put it to work! I love the simple blooms in this set – not overly showy but definitely capable of stealing the scene! Stunning, right?! I couldn’t be more thrilled with how this turned out!! BTW aren’t you just digging this photo setup and vintage look? I certainly am!! 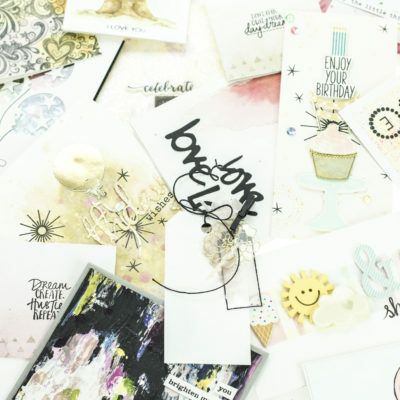 I started by stamping the Reverse Confetti Something Wonderful stamp set onto my card base and heat embossing it with white embossing powder. 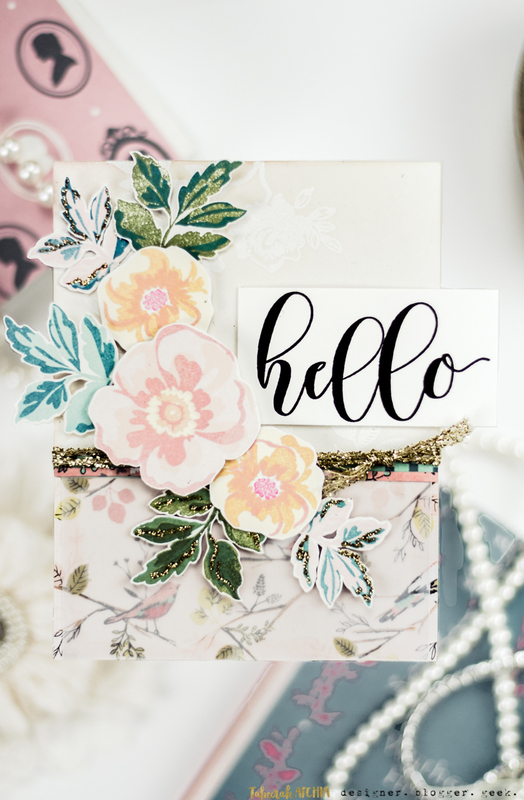 I blended a couple of Distress Inks over it to bring out the design, then added a few different layer of patterned paper and vellum and some sparkly gold ribbon to build up the look. Then it came to the time to create my flowers! I pulled out some of the Altenew inks and got to work, combining them with my favourite inks from Catherine Pooler inks! I added thin lines of Multi Matte Medium to the leaves and added some gold glitter for added glam! I fussy cut my florals then adhered them in place with dimensional glue gel for lots of custom dimension! The sentiment from the Flower Arrangement set worked perfectly to finish off the design! Check out all that dimension! Awesome!! Piling several layers onto your design screams vintage. It just has that collected, eclectic look about it. 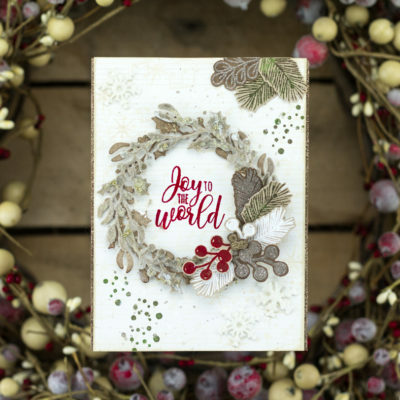 An easy way to do this is to use supplies/designs of different types – on my card I’ve used the card base, several designs of patterned paper, vellum, gold tinsel cord, and of course my stamped images. Play around with the design to use your supplies in more unique ways. Adding dimension between layers is a great way to add plenty on to your card without it becoming too overwhelming a design. By adding my floral elements with dimensional glue gel I am able to end up with a design where the eye is drawn to the centre of the card and keeps the focus where it belongs. 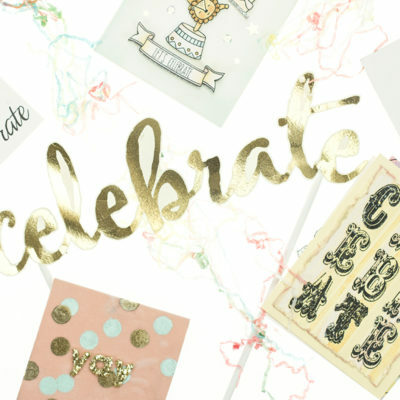 This is a great opportunity to use some of that patterned paper you’ve been hoarding saving. 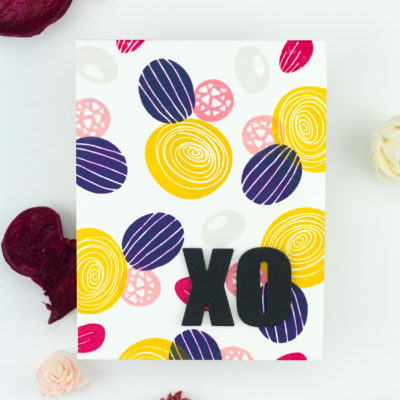 *wink* Pick a few different patterns from the same paper pad – you may think they clash, but companies have done all the hard work for you in designing collections where all the designs work together. Pick a design or company that already has a more vintage style about them. 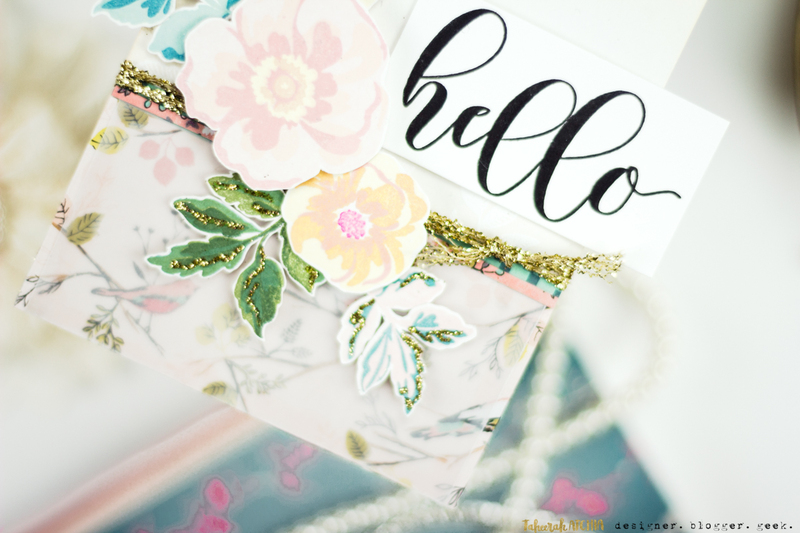 Crate Paper are my go-to for pretty, feminine designs with the feel of a bygone era! And don’t be worried about using bold patterns – you can always tone them down by adding a piece of vellum on top! What better way to evoke a vintage look than with faded colours?! I picked out red and yellow tones that have a faded look when put together and the results just scream vintage! 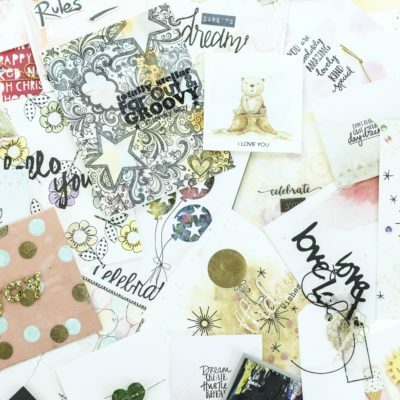 The same idea works with the toned-down patterned paper. 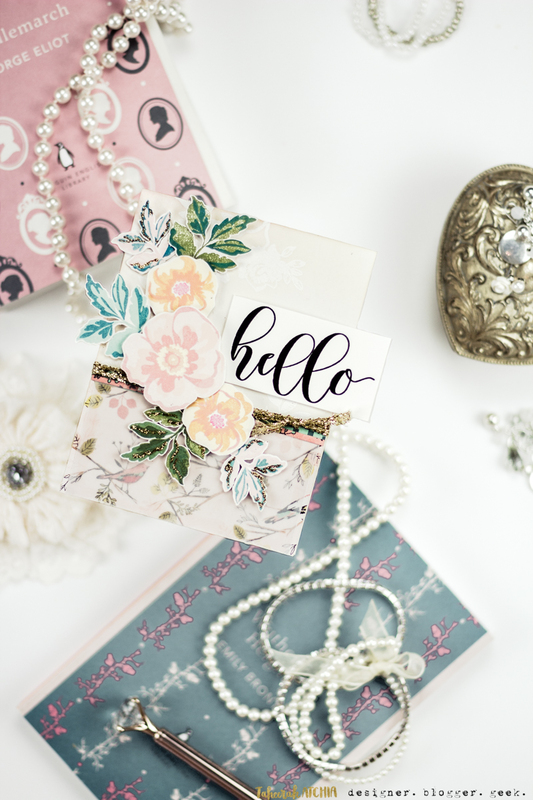 And don’t forget you can use some more surprising colour combinations for a vintage look – the pink and teal leaves work so well, especially with the hints of vintage gold glitter! Adding lots of points of interest in your design again brings to mind the look of a vintage item. The little slivers of gold glitter on my leaves really ramps up the wow factor, and stamping with inks that are reminiscent of the colours of my patterned paper really pulls all the elements together. The gold tinsel cord ties the other elements together as well as putting a modern spin (gold tinsel ribbon) on a vintage style (fussy ribbons or lace). Having a heat embossed design on the base also adds some subtle detail and layering without diverting attention. 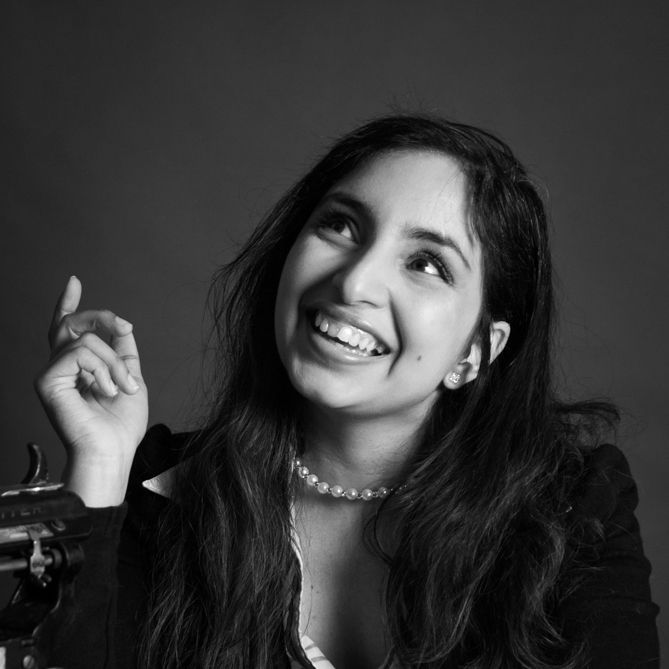 I hope these tips have helped spark some inspiration for you to give a vintage look a try! And I hope you love this card every bit as much as I do! 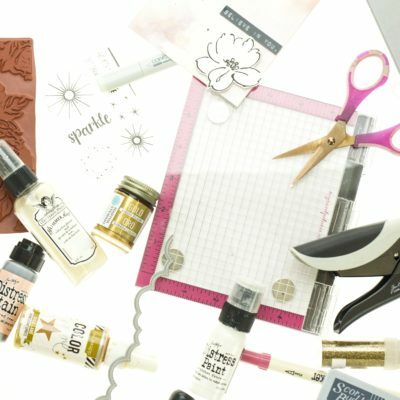 Ink Sale at Ellen Hutson! 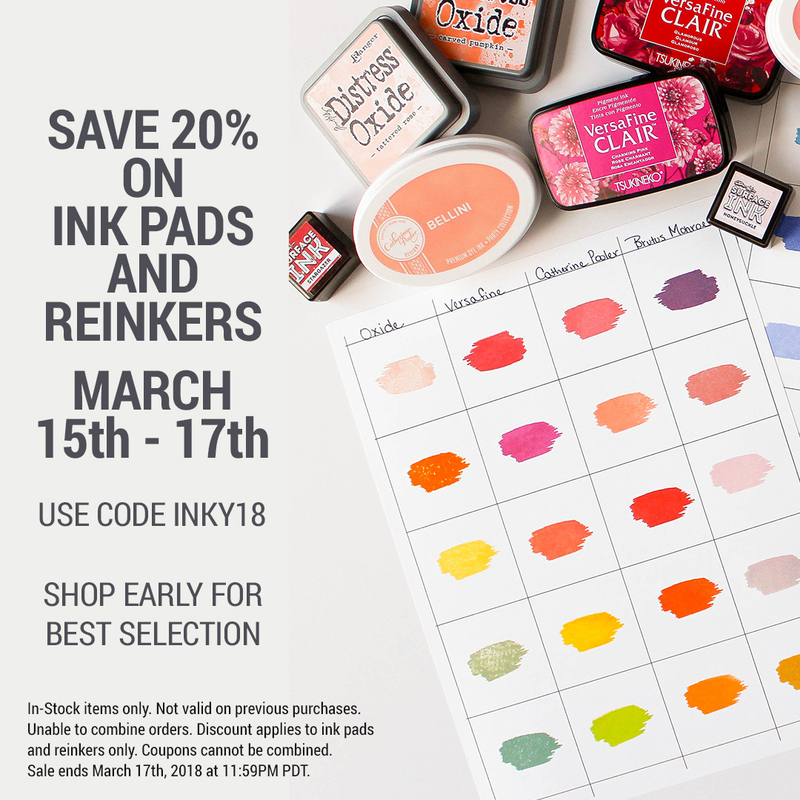 Just one last thing before I go – Ellen Hutson is having a *huge* sale on inks and reinkers! If you want to get those Catherine Pooler inks (or anything else inky of course!) then now’s the time! Just head over to the Ellen Hutson site and use the code INKY18 – you have until 11:59pm PDT on Saturday 17th March to order, but the most popular goodies are bound to sell out fast!! Have fun! Wow Taheerah, I didn’t realise that you could create a vintage looking card just through layering. 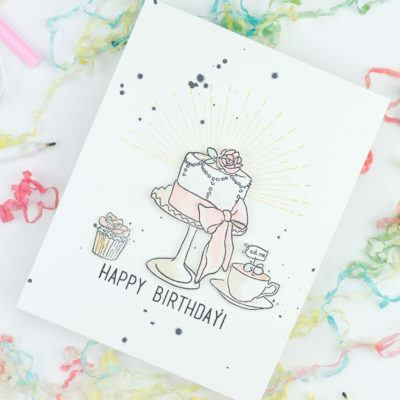 That is such a great TOP TIP and I am so grateful for the photographic images and the clear instructions from start to finish in how you created this card. 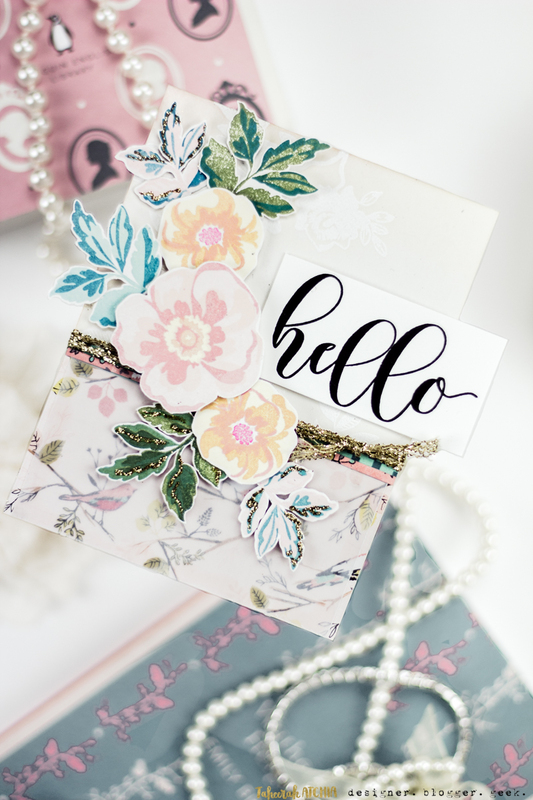 Gorgeous gorgeous card and some awesome vintage tips! Thanks for the inspiration!! 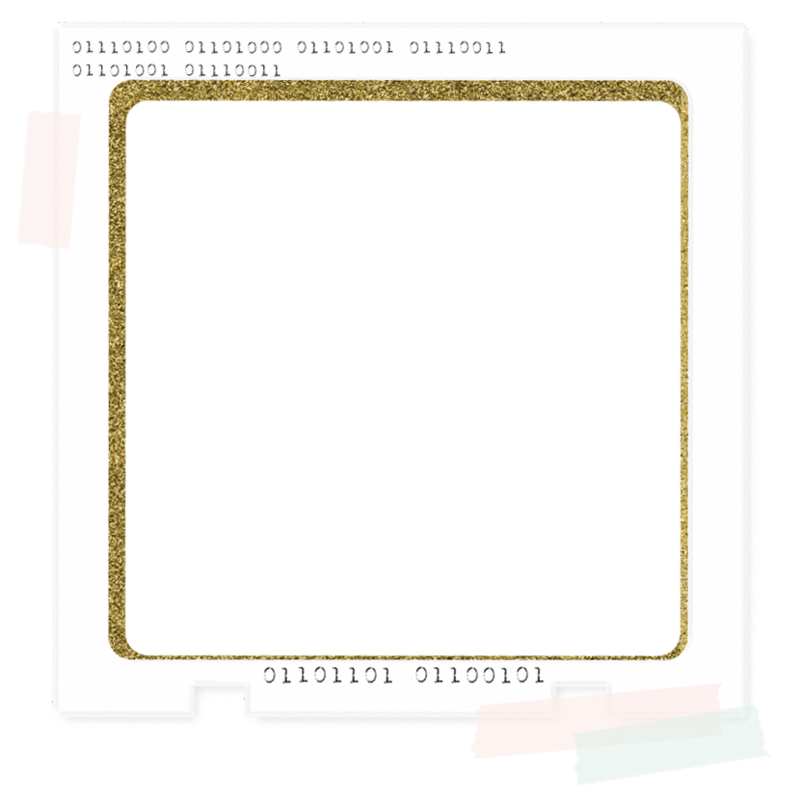 I am in love with your gorgeous vintage card!! 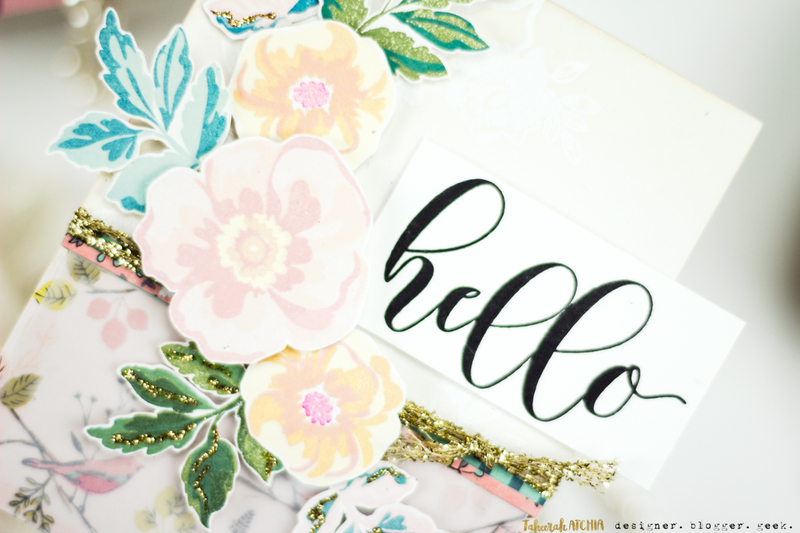 Love all the layers of gold and florals like those of yesteryear! Love the design and all of your tips! So appreciate you design and tutorial! 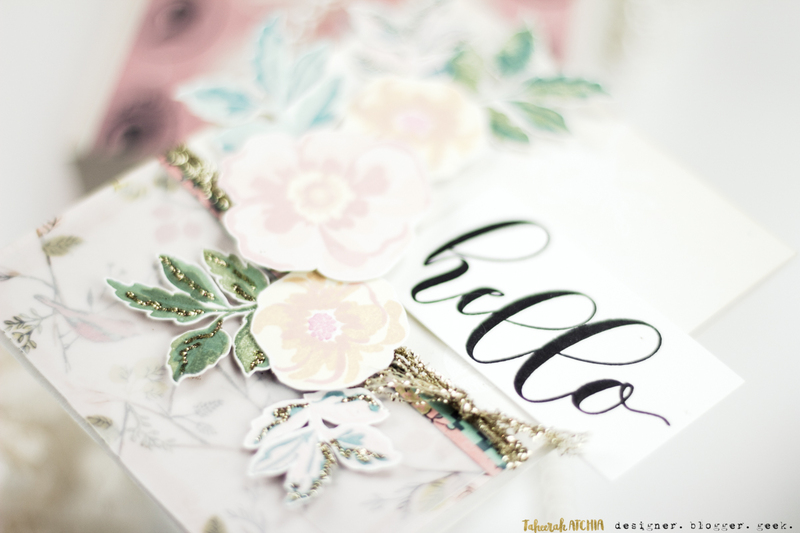 Hi Taheerah, What a STUNNING card, I am a huge fan of vintage!! Your card is just so pretty, love everything about it and love the way you set up the “props” with it, great photo shot. Thanks for all the great tips, I really appreciate it. Awesome post today, thanks.